Producido desde abril hasta diciembre de 1942, con un total de 22 vehículos construidos. 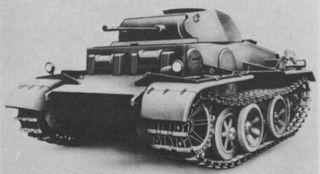 Diseñado como una versión modernizada del PzKpfw II Ausf G con blindaje mejorado. This tank is given as a gift for players who renewed their XBL through the Wot360 servers. 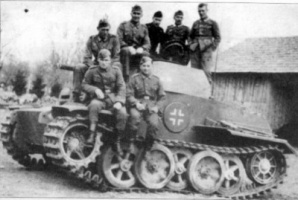 This German Rare light tank is slow but well armored. Although it has armor of 80/50/50 unfortunately, many tier 4s will be able to pen and damage you. Another downfall for this tank is the fact that it ends up in tier 4 battles all the time. Overall, although this tank ends up in tier IV battles all the time, it can be used as a passive scout. Though many seem to see the Ausf. J as a fun-tank, it does not see tier V matches. With a great armor of 80/50/50, it will be hard for your tier III enemies to penetrate you. You won´t do much damage, but you can spot for your teammates, while they, especially TD's and artillery can shoot safely from behind positions. Using APCR allows you to deal with enemies much more effectively, though it becomes expensive very quickly.